Unhappy businessman is crying on green screen. Depressed afro american entrepreneur on Alpha Channel background. Regrretting about something. 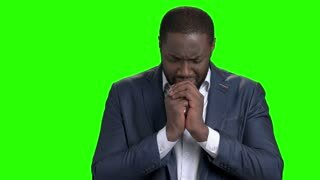 Young dark-skinned man is praying.